Sadness that consumes. Confusion, anger and very real fear. Children and young people aged 4 to 18 years, who are affected by loss through death, separation or divorce, can so easily lose themselves in a sea of confused emotions. This is where we come in – providing a professional, safe, accepting and compassionate listening service to help your child work through his or her feelings. 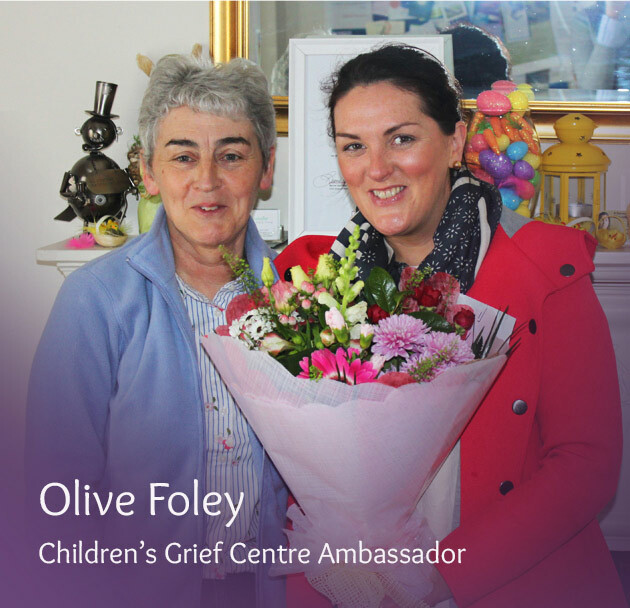 We offer support in a safe place where children can share their experience of loss through death, separation or divorce. Coffee Morning Fundraiser @ Bobby Byrnes Restaurant and Bar, Limerick. IPB Pride of Place Award Winner 2018 in ‘Communities Reaching Out Initiative’ Category! Support Worker, Ita Hannan is interviewed by Jude McInerney on Wiredfm. Radio! National Lottery’s Good Causes Overall Award for 2018! Happy Halloween from all the Children’s Grief Centre! The Congregation of the Sisters of Mercy wish the Centre the best of Luck! National Lottery: Good Causes Awards – Judging Day Tuesday 9th October, 2018! National Lottery – Good Causes Awards: Judging Day! “Children who are bereaved from death, separation, divorce, they will often need somewhere they can go and can be heard themselves. What I have seen with my children is they go in to see Helen, they would sit down and talk about themselves mainly, do drawings and express emotions. Every month we host events, workshops and fundraiser days to add value to the service we provide.